This one is a special blogpost for our supplier members — and anyone else who's ever had to transfer the excitement from their table to the masses walking by. In 2017, the Center for Exhibition Industry Research (CEIR) released an eight part Attendee Floor Engagement Report from a comprehensive study of exhibitors at trade shows. We read it through and identified a few key takeaways that we hope will provide inspiration for enhanced engagement with attendees at your next trade show. This is the ultimate goal for anyone at a trade show and everyone knows it. You have something you want someone else to buy. That could be an urn, software, intellect, or a preneed contract. And CEIR reports that this is the number two reason why attendees keep going to trade shows: so they can interact with the products themselves. So your focus should be on getting people to your booth and selling them on the value of your product. The good news is that data shows that people like free stuff. The pens, candy, and hand lotion you pass out are appreciated. This is especially true at a CANA show — our association doesn’t give our attendees bags, paper, pens, or any of those goodies so they’re extra appreciated from you! Plus, these end up back at home or the office where they are shared with colleagues. The bad news is that the paper handouts aren’t as appealing as the free stuff. We know this from both the data and the folders, business cards, catalogs, and more they’ve collected from you but left on the cocktail tables at the end of day at a CANA show. Instead, people are looking for digital versions — a screen in the booth for a quick glance or a pdf to share back home right then (especially if they can send it themselves). That way, they still have two hands free for a drink and a handshake. If your product or service isn’t a tangible thing, or is too large to demo in your booth, you’ll need to get creative to allow attendees to engage with the product or service information in a meaningful way. Here too, a screen can allow someone to get the feel for your product with a demo, a video, or tutorial. After all, the goal is for them to understand how your product or service meets their business need. If your product or service supports it, a sale on the premises and a receipt emailed to the office yields instant gratification for the attendee, and a satisfied customer for you. The data shows that many exhibitors aren’t doing on-site purchases, but the ones that do report high usage by attendees. Going through the whole sales cycle on-site is easier for some products than others, but there are still opportunities with big ticket items: if you can at least schedule a phone call to explore their needs further, or even better, send a quote then and there, you’re that much farther into the process. But we’re getting ahead of ourselves, because we forgot Sales 101: people buy from people. Data shows that the most valuable tool on the show floor is emotion. Initially, it’s friendliness and approachability that welcomes someone to your booth, and we don’t have to tell you that means eye-contact, a smile, and stepping from behind the table or display. Then, trustfulness and credibility shows that you’re not some flash-in-the-pan product that’s here today and gone the next — we’re an industry of long relationships and they want to know that their business (and equally importantly, their families) can count on you when they need you most. But to really hook them, it’s the connection of their problem to your solution and the resulting weight off their mind. Giving them that “aha” moment or that warm feeling that comes with a meaningful product to serve their communities better will go a long way to building your loyal customer. That comes from listening. There are no silver bullets, one-size-fits-all in our profession (even though your product probably comes pretty close). So you need to start by asking them about their business, their community, the persistent challenge that occupies them on their commute, and offer a solution that meets their unique needs. In some cases, it’s the marketing or sales person that’s best for this job, but data shows that it really depends on your product and goals. Highly technical products — like software and hardware — can often benefit from a technical person at the booth. This person can answer questions, provide recommendations, and tell attendees how this product can work for them. In other cases, someone from upper management is your ace in the hole. With their credentials, the executive can wield their position to build stronger relationships and shorten the sales cycle. Across the board, data shows that exhibitors have been slow to add a technological component to their attendee engagement strategy. Whether through social media, the event app, or even emails, few exhibitors are doing it. But, those that are have seen value. In general, these broadcast platforms are about buzz and thought leadership, not the sales cycle. This means that you’re working to stay in people’s awareness as a resource they might need in the future. These avenues are also great places to tell people where they can see your product in action and meet people with answers — your end goal is getting them to the booth for that emotional response. Before you even register for the event, you want to demonstrate thought leadership or ways to think about problems they face and provide solutions your audience can use. But when you know you’re going to be at a trade show, treat it like the event it will be and start getting excited. Tap into the culture of the event and share the host’s posts to grow your audience both online and on the floor. Build buzz about the event and your booth — who will be there and what will you feature? On site, you have two audiences: the ones that are with you and the ones at home, but sharing photos will appeal to both! Other offers like free stuff, purchase discounts, and raffles will bring the people to your booth and keep the buzz going at home. After the show is over, it’s back to thought leadership — hopefully a bit wiser from all the great event programming. When people get back to the office, they’re usually playing catch up with everything, and the energy they got from the ideas at the event quickly fades to the background. Anything you can do to recapture that emotion and keep the momentum going (while solving something with your product) will be welcome. Attendees report three primary objectives when attending a show — engagement with people, product and learning. These become the three pillars which all exhibitor and show organizer activities should fall under. The first two objectives — engagement with people and product — are usually met in the booth. Attendees gain knowledge through their interactions with booth staff, whether that be with product/technical experts, sales staff or management. The quality of these interactions is the top ranked reason that attendees come to an expo, CEIR reports. They also love to interact with products- whether that’s picking them up and holding them, playing with a software program, or pressing buttons on a demo unit. The third objective — learning — can be fulfilled in multiple ways. Providing skills-based education on your product, whether it be sales tips for cremation products like urns, short-cuts for software programs, or best practice tips for equipment, goes a long way toward meeting attendee objectives and building those relationships. If your show host offers it, participate in skills-based education or learning sessions outside of your booth. Finally, one-on-one, small group learning sessions are very popular; host short sessions at your booth at scheduled times and provide education (not sales gimmicks) on hot button topics about which attendees crave more information. This was 73% of all companies, looking to introduce their product to new people. While this sounds like you can count how many people are at the event compared to how many people you talked to, the math isn’t that simple. As valuable as people are, contact with decision-makers is key — just like having management staff man the booth shortens the sales cycle, so does talking to management attending the event. That said, lead capture was the easiest way to track this. At many shows, this is digital now with badge scanning to capture contact information allowing the conversation to flow faster. More than half (58%) of all companies say getting their name out there is key. Called “impressions” on social media, this means you want to know how many people can now say they’ve heard of your company, your product, and seen your logo. And it doesn’t take a table to do it, which is why exhibitor profiles and digital engagement is so important, and why alternatives like sponsorship can be so valuable. Here, it’s most useful to know where exhibitors are featured and how many people saw and interacted with listings there, often from the show host. The third most common reason for exhibiting is relationship management (46%). Connecting with current clients and furthering the sales cycle with strong leads is key in this category. In many cases, this is measured by time away from the booth — side meetings, dinners, a tab at the bar, and other things that convey a mutual investment between your clients and the company. In that case, the amount of time you spend on each of these activities is the real measure of success. To a much lesser extent, exhibitors attend to announce a new product (23%), to offer special promotions (18%), establish themselves as thought leaders (13%), or connect with other exhibitors as partners or distributors (12%). 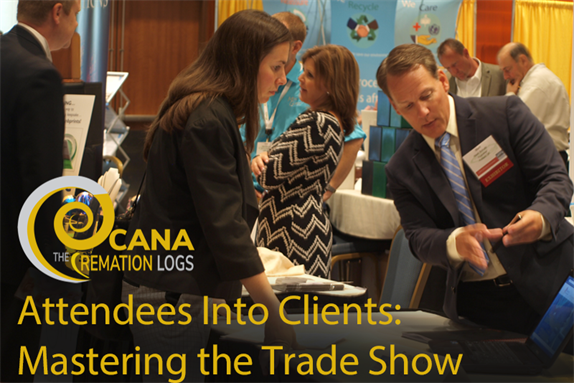 Overall, both trade show hosts and participants are thinking about the attendee experience. This move toward experiential design brings everything from the above plus the atmosphere and the culture of the host organization and location into account. From CANA’s perspective, we’re thinking about the most enjoyment people can get out of our event locations, not just our programming. We host exhibitor training to teach them what a CANA event is like for everything from arranging shipping to our vibe. And we make sure that our promotional materials for the event are on brand for the conference and our association. As exhibitors, you do the same: choosing your events for their match with your goals, sending the right people to work the table, telling prospects to join you there, and getting your logo front and center. It’s the goal of every event host to work together with the exhibitors to make sure that the attendee experience is one to remember and tell others about. So, how do we make changes, as exhibitors and hosts? (1) Be intentional about choices. Don’t just look around and see what collateral is cluttering the office and who hasn’t gone to a show recently. Know your audience, know your event, make the right choice for them. (2) Get feedback about the event. Don’t add the notch to your chair and move to the next. Ask the host for data about who attended, what your exposure was like, and do your own data collection from attendees on the floor or after about your booth and offerings. (3) Keep the experience alive. Don’t end the show and the conversation. Build some lead up excitement for the event, host a client or just promote your presence on the floor, and follow up about the show and the experience after. Face-to-face is still one of the best ways to connect, and trade shows provide a perfect way to start. In the spirit of continuous improvement, CANA has implemented new tools for the upcoming convention to help you act on some of these suggestions. Our new event website and event app offer you the opportunity to increase your exposure by having expanded exhibitor profiles in both places, as well as more places for your logo to be displayed. Through the event app you’ll now have the option to add lead-retrieval. Finally, the event app allows you to send messages to attendees as well as invite them to meet with you through a calendaring function. We hope these new features make your next show with us even better. And if you won’t be at the CANA convention, we hope you can use these ideas to make your next event great, wherever that may be. Registration is open to exhibit at CANA’s 101st Cremation Innovation Convention! Join us in Louisville, Kentucky and get your product in front of key-decision makers for funeral homes, crematories, mortuaries, and cemeteries across North America. We place our trade show in the same room as our programs to keep the funeral directors and cemeterians interacting with our exhibitors all day — plus, you can benefit from the presentations, too! 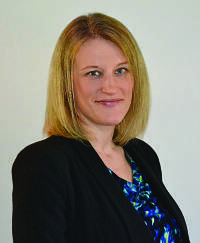 Jennifer Head is the Education Director of CANA. She plans the events and works closely with exhibitors and attendees to constantly improve CANA events and shows.